The only sign mod you'll ever need! 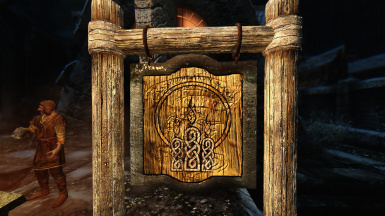 Replaces signs all around Skyrim with custom 2K textures, for a more immersive feeling. 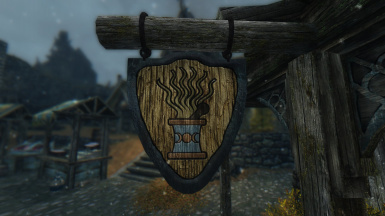 Feel free to add this mod to a modpack, but please give credit. You are not allowed to edit and/or use my files in any way! Last Update: 2016-10-29 Mod finished! Now for Skyrim Special Edition! 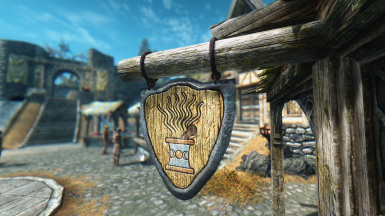 If you like the mod, please endorse it! 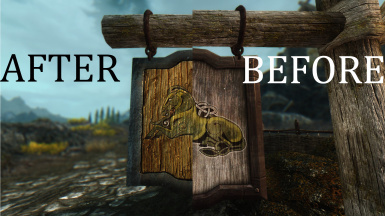 This mod is still in Beta for Skyrim SE! If you run into any issues please leave a comment! 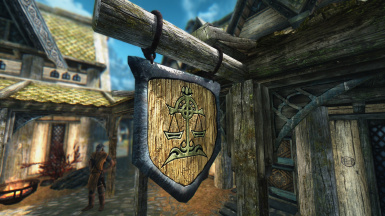 This mod replaces signs all around Skyrim with high resolution 2K textures. 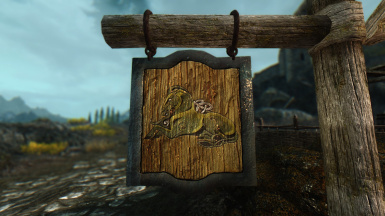 All signs in the entire game are changed. All signs got a custom Normal map for a better 3D look. 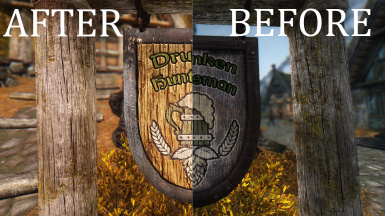 I recommend using NMM or Wrye Bash for installing this mod. 2.1. Activate the mod in the mod list. 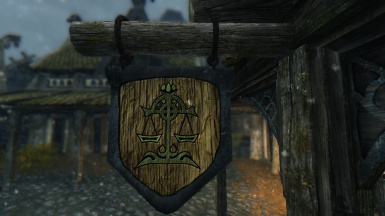 Added all inns and all signs in Riften. 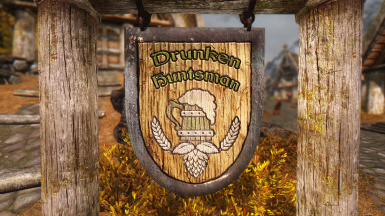 Added Drunken huntsman, Honningbrew meadery, Ragged flagorn and stables. Created new normal maps to decrease the size of the file. 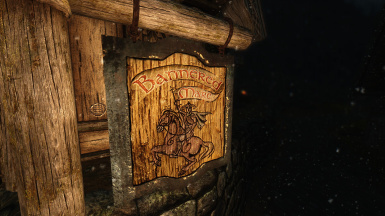 Added signs for alchemy shops, bannered mare, general goods and candlehearth hall.